Apple and Hulu: Not so strange bedfellows? It would seem Hulu’s not the only company re-evaluating its strategies for making money on television content in the digital age. According to a report at All Things Digital, Apple has been floating a $30 per month television subscription service to content owners. That’s the pitch Apple has been making to TV networks in recent weeks. The company is trying to round up support for a monthly subscription service that would deliver TV programs via its multimedia software, multiple sources tell me. Of course, content providers are notoriously resistant to change—doing a three-point turn on an African elephant is probably faster. The entrenched business model has networks making lucrative deals with service providers like Comcast, Time-Warner, and AT&T—deals they don't necessarily want to put in danger by making their content more widely available. Not to mention that the fees paid by advertisers, still a big chunk of network income, are based on viewership ratings, which could take a hit if more viewers were to move to an ad-free model. Television show episodes have been on sale in the iTunes Store since fall 2005, when a handful of ABC-owned shows debuted, but something tells me that sales have never been as strong as Apple would have liked; Apple doesn't regularly break out iTunes Store sales by content type, but TV shows almost certainly pale next to music sales—when was the last time you heard the company brag about how many TV episodes have been downloaded? Buying television shows on an à la carte basis can be pretty expensive, depending on your consumption habits, and more to the point, purchase is not the default model for most television viewers—most people don't buy DVD box sets of every show they watch. Hence, the success of sites like Hulu and Netflix, which offer streaming on ad-based or subscription models. A deal with Apple does make some sense for the content vendors. When Apple launched music download sales, music piracy was rampant. Steve Jobs argued that iTunes was a way to compete with piracy, not try to stamp it out. Instead, Apple would provide a superior product that people would be willing to pay money for—and it panned out, with Apple selling more than five billion songs. Television piracy may not be as common as music piracy was, but it does exist and it’s an extremely well-oiled and, more important, quiet machine. Distributing television episodes doesn't seem to incur nearly as much legal attention as music or feature film piracy. Still, there are places where it’s vulnerable to a superior—and legitimate—product, and that’s a niche Apple can exploit. Despite gains made by sites like Netflix and Hulu, there is room in this market for Apple, as I’ve been arguing for more than three years. For one thing, it’s got a huge base of existing customers—more than 65 million credit card-linked accounts, as All Things Digital points out. For another, its got a foothold in the mobile space with the iPhone and iPod touch, a realm in which neither Netflix or Hulu competes at present. Thirdly, subscription television could be the killer app for the Apple TV, allowing some users to actually ditch their cable subscriptions and finally transforming Apple's hobby into a worthwhile commercial offering. Netflix has moved towards bringing its service to the living room by offering streaming via Roku’s set-top boxes, some Blu-ray consoles, and game consoles like Microsoft's Xbox 360, but Hulu has taken pains to try and keep its content locked firmly to the Web. There are still hurdles, both for the business and technological angles. 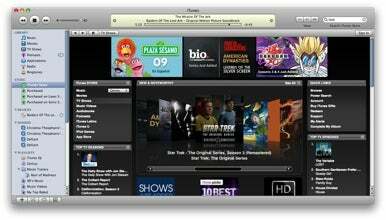 Live events such as sports and news don’t really work in the current iTunes model, which would likely prevent lots of people from switching wholesale to an online distribution system. And then there’s the question of how the model would work: would it be an all-you-can-eat service, or would the television companies insist upon metering of some kind? What about content from premium channels like HBO and Showtime? If you wanted to purchase shows after watching them, what kind of prices would we be talking? All Things Digital says that none of the content providers is currently onboard with the subscription plan, which Apple would reportedly like to launch next year, but also speculates that Disney, with its close ties to Jobs, could be the first to sign on. As someone who actively follows a lot of television shows—we’re talking well over a dozen—a $30 flat fee would be an extremely attractive value proposition. But it’s going to depend on the content that’s available, the quality, and what advantages Apple offers over services like Netflix and Hulu. So I put it to you, readers: would you pay $30 a month for television? Why or why not?